22-story oceanfront condominium with exceptional views of the Atlantic Ocean and intracoastal Waterways. The Majestic is strategically located across the street from the world renowned Bal Harbour shops with their upscale boutiques and elegant cafes. 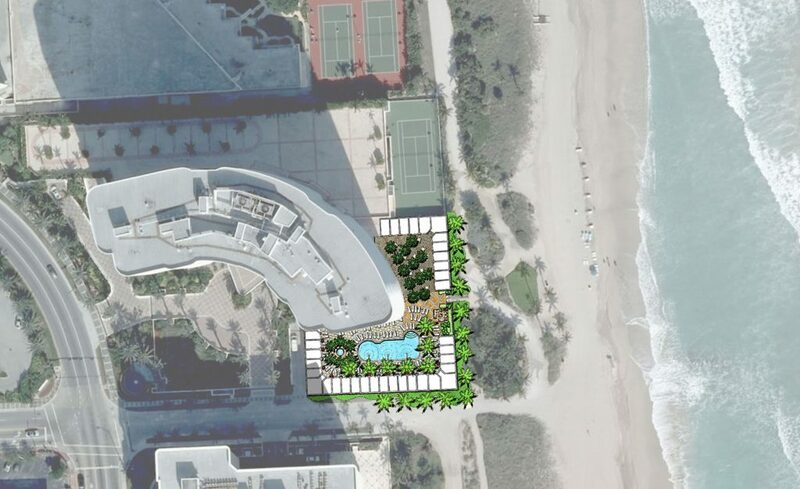 Provided value-add planning and landscape architecture services for the beach-side pool deck, spa, restaurant and cabana court. The scope of work included planting, hardscape as well as outdoor furniture design for the amenity area.